Wow, I haven't posted since April. In this time I have been doing what jazz musicians would call "woodshedding." I've been reading a ton, looking at a lot of art. I've gone through about 5 weeks of physical therapy on my right arm after a few weeks in a sling. Things are much, much better but there are still issues. I try to keep my whining to a minimum since others, say, Chuck Close, have worked through far worse. I really immersed myself in the world of Philip Guston and it is really showing in the work. Part of that world includes the work of the composer Morton Feldman. From Guston, I take the idea of working with the everyday to create enigmatic works. One thing I could not emulate is the immediacy of his work. He would paint and scrape and paint and scrape until the work would tell him that it was done. I started trying to free myself up in that manner but it just did not work for me. I laugh because I am making work that is directly in line with his but his own words would suggest that he would not like what I do. Guston was particularly interested with placement of objects on the picture plane. This is a big concern for me and is deeply informed by the minimal works of Feldman, where very spare compositions are constructed with only a few carefully placed notes/sounds. 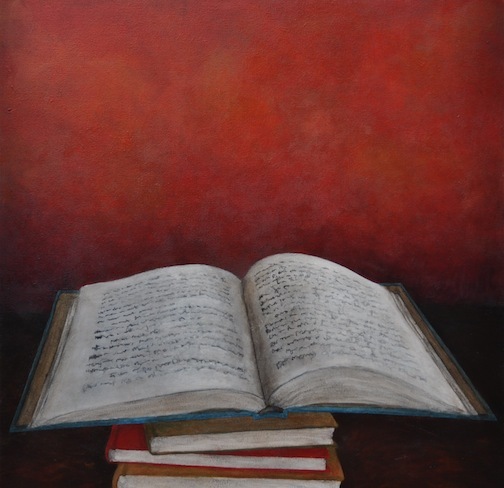 I've completed a painting and a drawing of books that take a cue from Guston. Books are a huge part of my life and use of them as subject matter is not intended to be a play on my last name. I own tons of books, read as much as possible, I worked in a book store in college and my wife worked in libraries for more than 15 years. 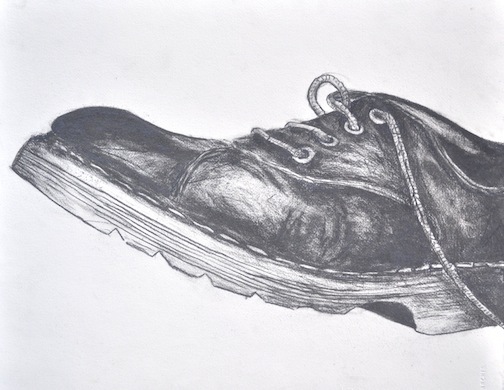 I've also been working on shoes, particularly a pair of Doc Martens I wore when I worked in a retail store, on my feet for 50-60 hours a week. They were beautiful shoes that did not let me down. Guston obviously painted many shoes and I don't think our reasons are that far off in exploring this subject.